8 inch Wendy arrives as a beautiful Indian princess. Wendy is made of vinyl and fully-articulated with jointing at her neck, shoulders, elbows, waist, hips, and knees. Her rosy cheeks and brown eyes are framed by a black wig styled in long, flowing curls. 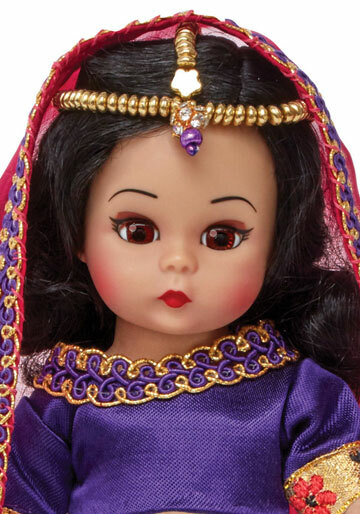 She wears a stunning purple sari and pink veil. A gold royal headband and slip on shoes complete her royal Indian princess look. 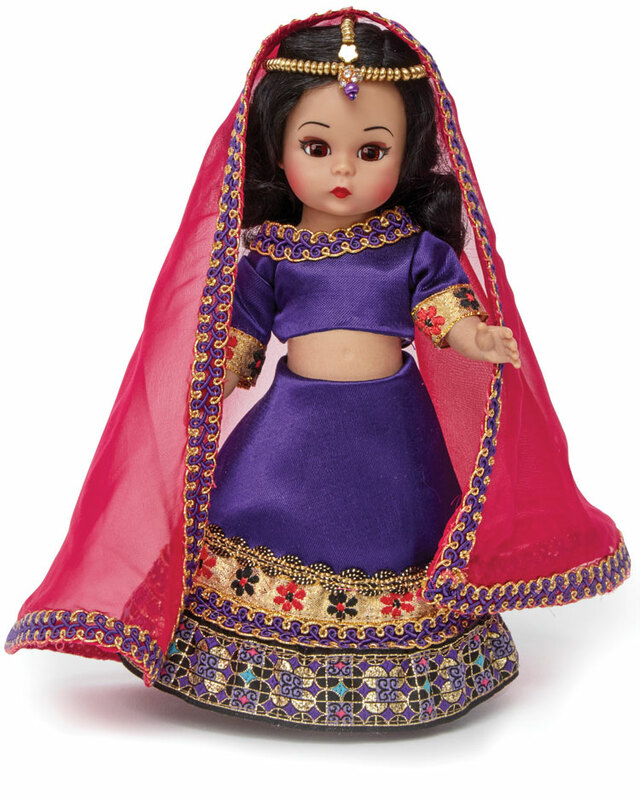 Indian Raajakumaaree 75140 is part of Madame Alexander's International Princess Collection. Suitable for ages 14 and up.